“I think that people need information. There is usually nobody to explain to us properly what the risks of delivering all alone are. How are women supposed to know about safe motherhood practices? We need to tell them.” Mamar, 18, a former fistula patient who is now using her experience to teach others about safe motherhood practices. Mamar, 18, is one of the youngest women to take part in the Maternal Health Advocate (MHA) program which was implemented by WAHA in Ethiopia in 2013 in partnership with Ethiopiaid Australia. The program seeks to improve care-seeking behavior for reproductive health. Originally from Gewtamba, a small village in Ethiopia’s Dabat District, Mamar is a former fistula patient who suffered from this condition after giving birth to a stillborn baby boy when she was just 15. She did not receive any antenatal care during her pregnancy and gave birth at home attended by her family, as is customary in her village. Labor was obstructed and she struggled for three days to give birth. 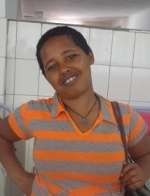 “It was my brother who eventually took the baby out,” she says, telling her story from WAHA’s fistula Center located in the Gondar University Teaching Hospital, where she now occasionally provides support for patients awaiting fistula repair surgery. Despite a high fertility rate, there is a very low demand for available reproductive and maternal health services in Ethiopia. Only 12 percent of births are attended by a skilled health worker , a situation that contributes to the country's alarmingly high maternal mortality ratio of 350 deaths per 100,000 live births . The lack of health care facilities in the country is significant, particularly in rural and isolated communities where almost 80 percent of the population lives. But even when reproductive health care is available, it has been observed that the majority of women do not seek care at any stage of their pregnancy, either because they are not aware of its importance, or, in many cases, because of customary beliefs that it is not useful or is unnecessary. When Mamar regained consciousness several days after giving birth to a stillborn boy, she noticed her bed was completely wet. The difficult labor had been very painful and she had developed a fistula in her bladder that made her incontinent. “I was very scared, I did not understand what was going on, because I had never heard of something like this in my village”, explains Mamar. The following months were difficult for her: “I became used to hiding. I hid from my family, from the neighbors who came over for the coffee ceremony; I hid from the people of the village. I was too embarrassed to be around anybody because I was leaking urine uncontrollably. I smelled, and my clothes were constantly soaked. I could not attend reunions, weddings, or funerals, I felt like I had lost my youth”. When she discovered how Mamar was suffering, her mother took her to the health center in Dabat. The health center staff told them about WAHA’s Fistula Center in Gondar and scheduled Mamar for a fistula-repair intervention in the following months Even though Mamar never thought she would be healed, the operation was a success and she found herself liberated from incontinence and pain. She decided to stay in Dabat City going back to her village only occasionally: “My husband and I have grown apart now. He did not bother to come to visit me in Dabat or in Gondar, so I stayed here. I have a job now and I like it”. Last year, the network of MHAs carried out 460 home visits, in which they identified and offered support to 2,260 pregnant women, advising them to plan consultations and informing them about the available health services in their communities. Mamar is happy to have been part of this project. She realizes that people listen to her and that her words can help. She personally followed and advised 70 pregnant women in the villages of Chila Kebele. Only two of the 25 women who have already had their babies delivered at home. The others delivered at a health facility. “I believe they decided to do so because of the knowledge I shared with them”, Mamar says with a smile. Antenatal care consultations in the region increased steadily during this period, reaching 2,826 by December, as did use of WAHA’s motorcycle ambulance referral system and upgraded local health services in both Dabat and Debark. “I know that women who have talked to us have been going to consultations and taking better care of themselves. So if we continue doing this, more women will avoid pregnancy-related risks. As for myself, I feel that my life has improved: first of all I regained my health, and second, I am more confident now and I can take care of myself. I feel very happy”.